According to The National Institute for Occupational Safety and Health (NIOSH), hearing loss is one of the most common work-related illnesses among American workers. The good news is that hearing loss is a recognized occupational condition, and those afflicted may qualify for workers’ compensation benefits to cover medical expenses and lost wages. However, since this condition may occur gradually over time, employees may have a difficult time proving that their condition is work-related. Daily exposure to industrial machinery on a construction site can cause many types of injury, including hearing loss. NIOSH warns that noise levels of 85 decibels or more have the potential to cause hearing damage—and constant exposure to high noise levels can cause irreversible hearing loss. Repetitive stress. 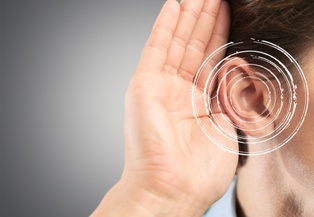 The most common cause of occupational hearing loss is repetitive exposure in the work environment. Employees in New York are required to wait three months from their last date of employment before they can apply for workers’ compensation for repetitive stress injuries, including occupational hearing loss. Sudden trauma. If hearing loss occurred as a result of an accident (such as a blow to the head or near-drowning), the injured employee can apply for workers’ compensation immediately and has two years from the date of the injury to make a claim. Toxic chemicals. Some chemicals and solvents on construction sites may be ototoxic, meaning they can damage the structures of the ear canal. Hearing loss in these cases can be immediate or take weeks to develop, so medical evidence is usually necessary to link the condition to the workplace. Negligence. Most cases of occupational hearing loss could have been prevented if hearing protection had been provided. New York construction workers may be able to file a work injury lawsuit against a contractor or other third-party who failed to provide proper protective hearing equipment or train employees on hearing loss prevention. Once you are eligible for workers’ compensation, you should make an appointment with a hearing loss specialist. This doctor will perform a number of tests to determine how much of your hearing ability remains, and discuss the nature of your job, your work environment, and the duties you perform. If the doctor believes that your hearing loss is work-related, he or she will fill out a workers’ compensation form so you can begin the process of filing your claim. If you are being denied workers’ compensation for hearing loss, our attorneys can examine the facts of your case and get you the benefits you deserve. Contact us online or call us directly at (800) 362-9329 to speak with a construction injury lawyer at Hofmann & Schweitzer today.